A few weeks ago we held a nice little workshop at Flyn’s Tractor Design School on the ‘Digital Future of Oxford Street‘, fusing a an intro to UX and wire framing with a bit of digital creativity in the realm of urban planning. With a mixed audience of partly junior design professionals and some novices we enjoyed our 2 hours of ‘digitally augmenting’ the experience of being on Oxford Street. Here’s the recording of our live video stream, where you can see Flyn, Gabriel and myself. Art & About Sydney is a collaborative arts festival where every street, lane way, building site, intersection and thoroughfare is a canvas for creation and storytelling. And we at Reactive are gladly contributing with a free beginner’s workshop on digital design of urban spaces, in particular the Digital Future of Oxford Street. 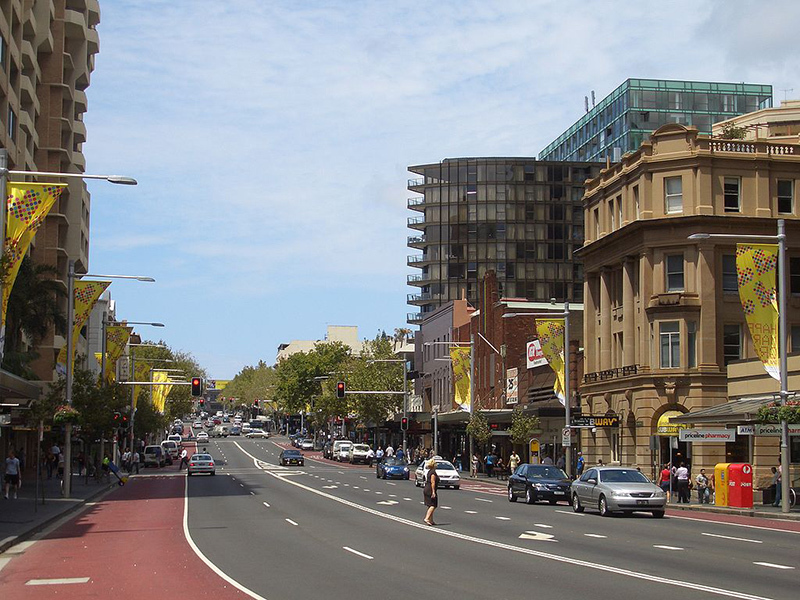 Our educational partner Tractor Design School is hosting our workshop where we explore a new digital perspective on one of the main arteries of Sydney: Oxford Street. Here is an interview I conducted with Dan Hill, now CEO of Fabrica, on How data is changing our streets and cities – listen to the audio here. No prerequisites or experience in digital design or software is required. It is an entry level workshop which is supposed to show residents and visitors what sort of professionals work in and around the area of Surry Hills and Darlinghurst. So if you are in Sydney and are curious about learning something new, we are looking forward to seeing you. Get your free tickets here on Eventbrite. 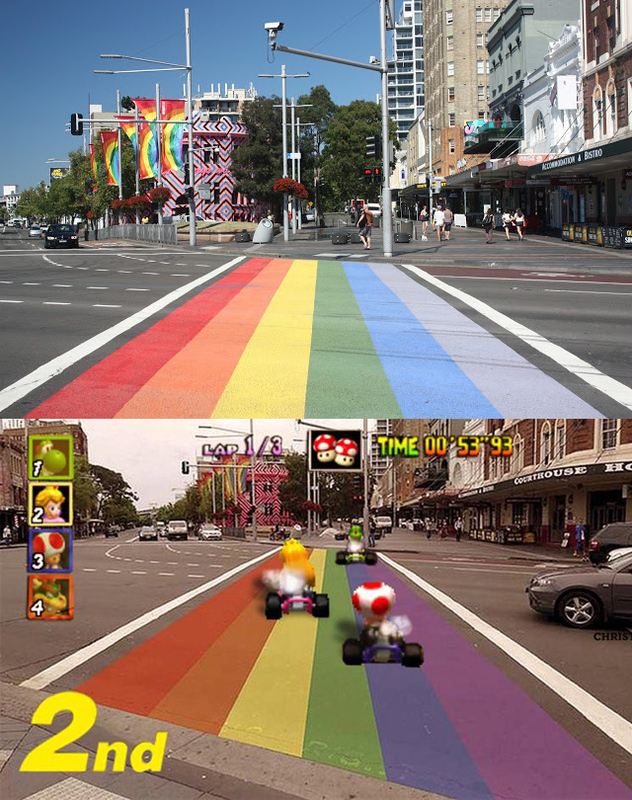 We Australians are quicker than the rest of the world. We Oldies don’t run faster but at least farther than the young (on average, not me necessarily). And interesting that Android users of the Runkeeper app are quicker than iPhone users. Is it that extra geek power? Or are iPhone users just getting old? I suspect the latter. Whenever you bump into an old colleague (now working at a competitor agency), you might go: ‘Hey, what a small world!’. That’s what we think as well and were therefore inspired to create these 20 small agency planets. A big help was Ryan Alexander‘s web app ‘Street View Stereographic’. It creates a “little planet” using photos from any Google Street View. Simply type in the geographic location in the search bar. As we did in the below for our own ‘little’ agency Publicis Mojo. So you think you know the agency scene in Sydney? Not like this you don’t. Try to recognise as many of these 20 creative agencies’ neighbourhoods and buildings. Write them with their # into the comments section and be recognised as a real connoisseur of our small agency world. Our newbie Lauren has fallen in love with unicycling. 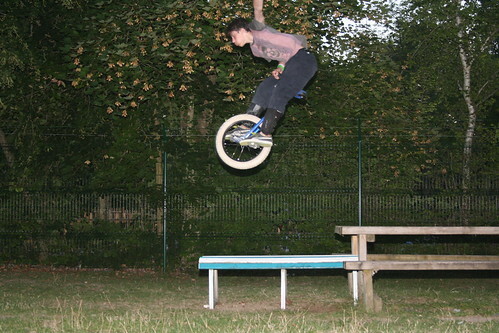 At the same time most people have no idea how fast unicycling really is. So we decided to host a special facebook competition: Tour de Lunch. 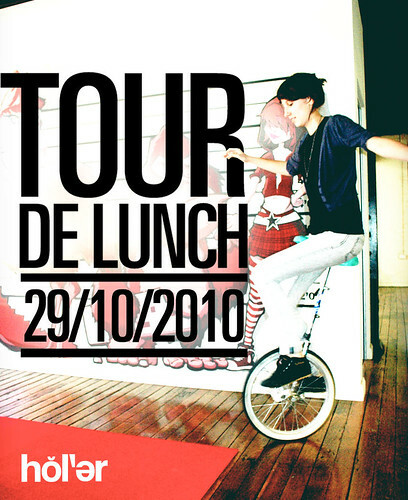 Lauren on her unicycle "Tour de Lunch"
You guess how long it takes Lauren next Friday to unicycle to our favourite eatery in Surry Hills, “City Edge“. Check her route on Google Maps. Whoever gets closest to the actual time in minutes and seconds wins a lunch for two at said place. Go ahead and place your guess in the comment section of our facebook post. In the meantime Lauren will practice her fully sick urban unicycling skills. There are no T&C’s but expect an entertaining video of our “Tour de Lunch” next week. I just caught up with co-tenant and mate Darryl Nichols who heads Garage Sale Trail, an event that collectively organises suburb-wide garage sales with the help of online tools like dynamic maps, heavy-hitting blogs and publishers of course facebook. As you can see from the links and the video below, the first Garage Sale Trail was part of Bondi’s Community Festival Sizzle, and a pretty fun activity as such. Who would have thought, re-cycling and re-using could be such a frolicking kind of event – wait till the end of this video for an extra-gold piano performance (video by Republic of Everyone). Sizzle was a massive collaboration of agencies such as Holler and creative local inviduals. And happened to be a massive success, with many registrations coming in at the last minute. A couple of weeks later the council where I live organized a similar event which semi-failed: calling a council telephone number to have your name put down on a list that closed 3 weeks in advance of the event just wasn’t working for too many residents. So now Darryl is talking to councils, sustainability organisations and influential people across Australia to make this modern garage sale a national event. Rachael Botsman from Collaborative Consumption who recently gave a TEDx Talk in Sydney is already on the steering committee. Get in touch on the Sale Trail site and talk to Darryl if you are able and willing to lend a hand.